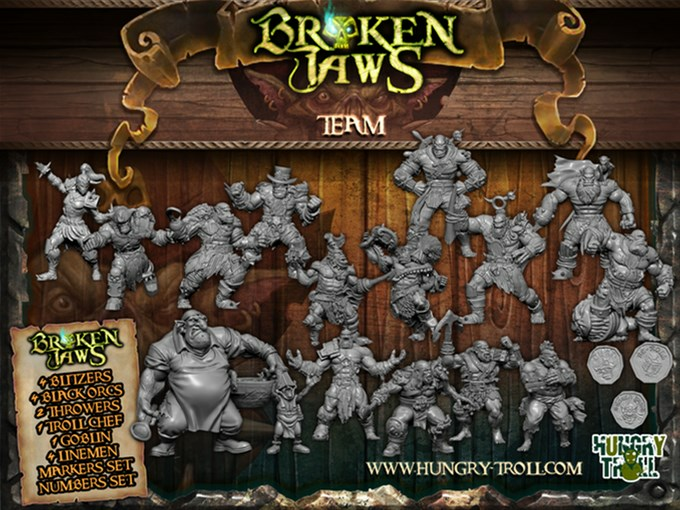 Why buy Hungry Trolls Broken Jaws? FULL ROSTER and even extra options. NO REPEATED MODELS all miniatures are different. EASY ASSEMBLY, only a few models need to be glue and the other come in 1 piece. PRICE, More miniatures plus cheaper than other FF Brands. 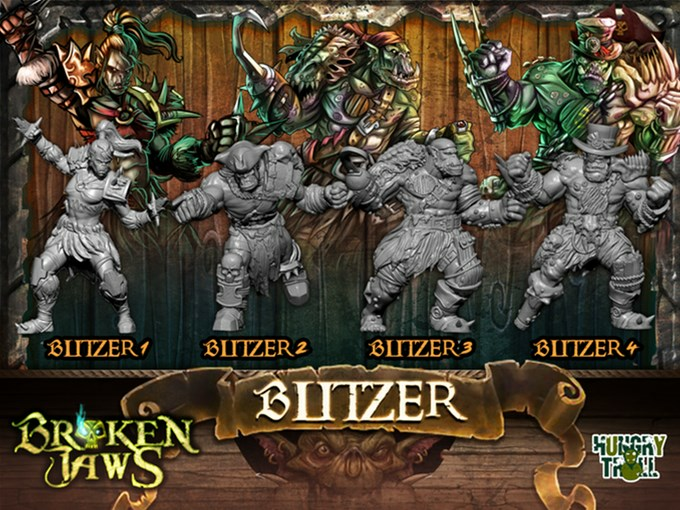 16 up to 22 miniatures for just 69-85€ ! 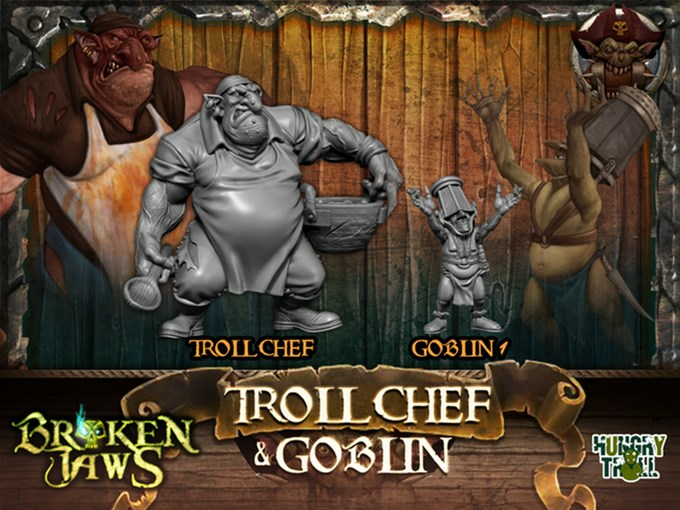 BEST QUALITY, Hungry Troll Teams are famous for their Resin and White metal Quality. We work with the best Makers to give you the detail you deserve. 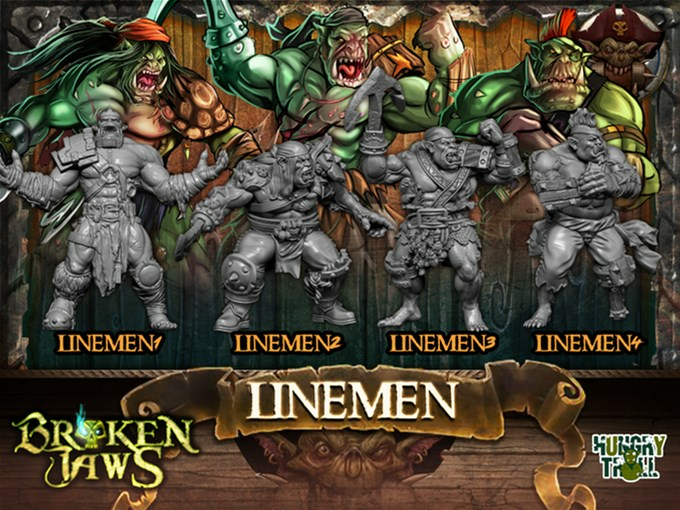 Each campaigns miniature has been designed with love and care. I know some of your don´t like pirate hats, so all hats have been made separated as an optional piece. So is up to you to put the hats on the models. The same with most of the hooks. 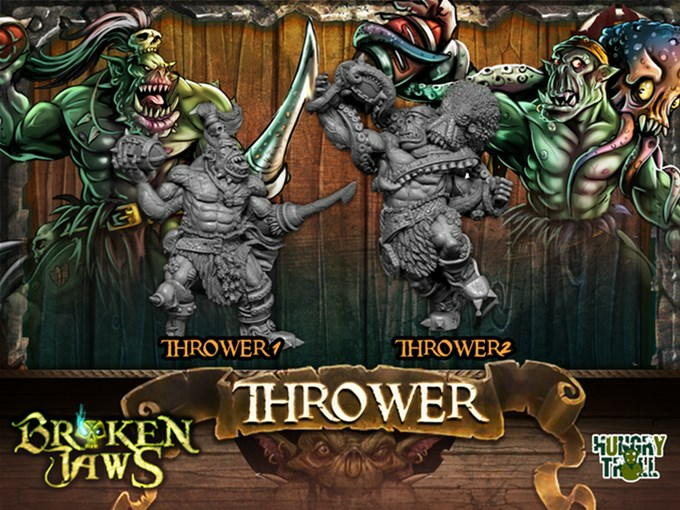 You have the option to choose between the hook or a regular hand. There are extra hooks and all are compatible with all the models. 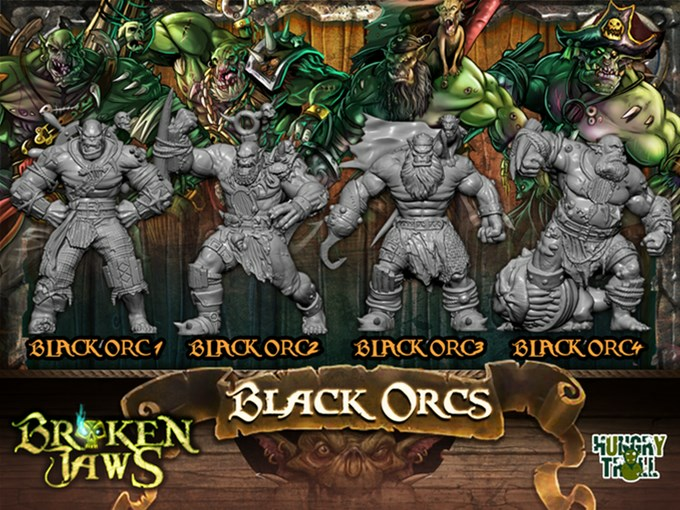 The Black Orks have optional back options (anchor,helm,flaj). 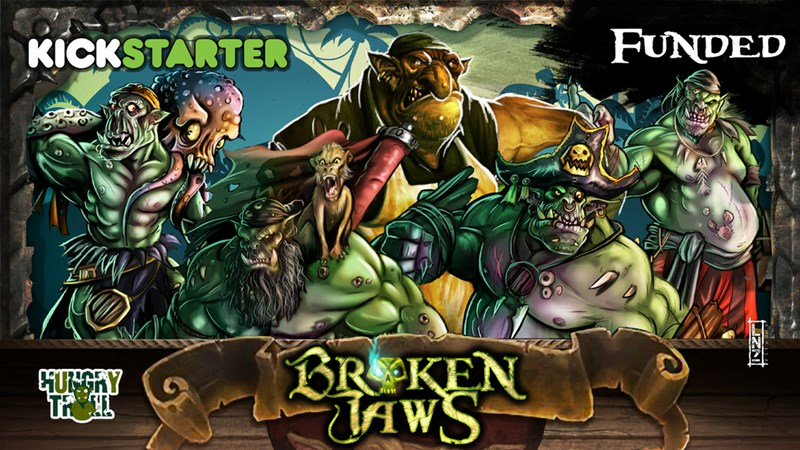 The campaign is up and over its funding goal, but there's only 4 more days to get in on the action.